We have a new island pet: our bunny Coco! 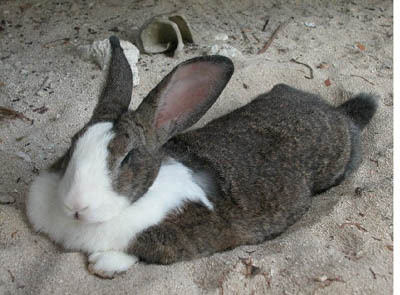 Our bunny Lucky died in 2005, and the staff got me a new bunny as a present. We had a naming contest on an early March trip, and named her Cocoa Damselfish (after a fish we often see while snorkeling); Coco for short.